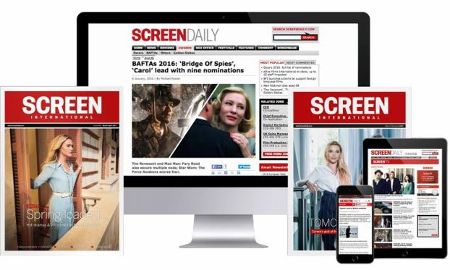 Screenwriting organisation The Script Factory is launching SCENE insiders, a new international training programme for European film professionals at the Edinburgh, London and Warsaw International Film Festivals in 2004 and at Gothenburg, Sweden in January 2005. SCENE insiders is targeted at directors, producers, distributors, readers, developers and story editors from the EU and invites participants to explore and refine the way they work with screenwriters. Backed by the MEDIA Plus Programme of the European Community, United International Pictures and the British Council, SCENE insiders will be hosted during four leading film festivals and offers programme of specially designed workshops; masterclasses with festival filmmakers; and a year long on-line follow-up programme for the participants. The programme aims to create a network of skilled, trained and confident script and story editors who can assist writers of feature film and television throughout Europe in improving the quality of their scripts. Thirty participants will be invited to Edinburgh, London and Gothenburg and sixteen to Warsaw. Deadline for application is June 14 2004, and participants will be announced at the beginning of July 2004. The Script Factory is a major provider of writer and development training programmes for the UK Film Council, and is sponsored by United International Pictures, Columbia Tri-star, BBC Films, Bird & Bird, and Buena Vista International throughout the year. Since 2000, it has been staging SCENE, a series of live events and masterclasses in partnership with some of the world's top film festivals including London, Edinburgh, Rio, Berlin and Gothenburg. SCENE sessions have been given by filmmakers including Anthony Minghella, Mike Figgis, John Madden, Robert Altman, Catherine Hardwicke, Thomas Vinterberg and Daniel Burman.